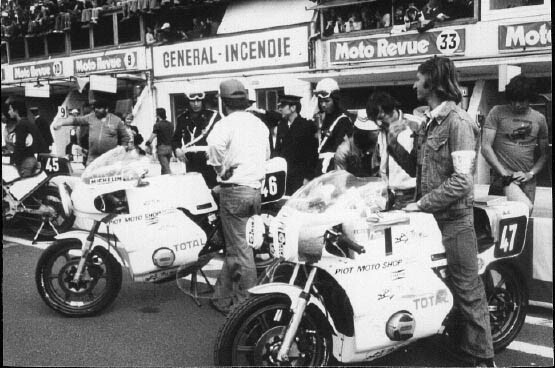 Bikes 46 and 47 on the start of the 1977 Bol d'Or 24 hour Le Mans Endurance Race. 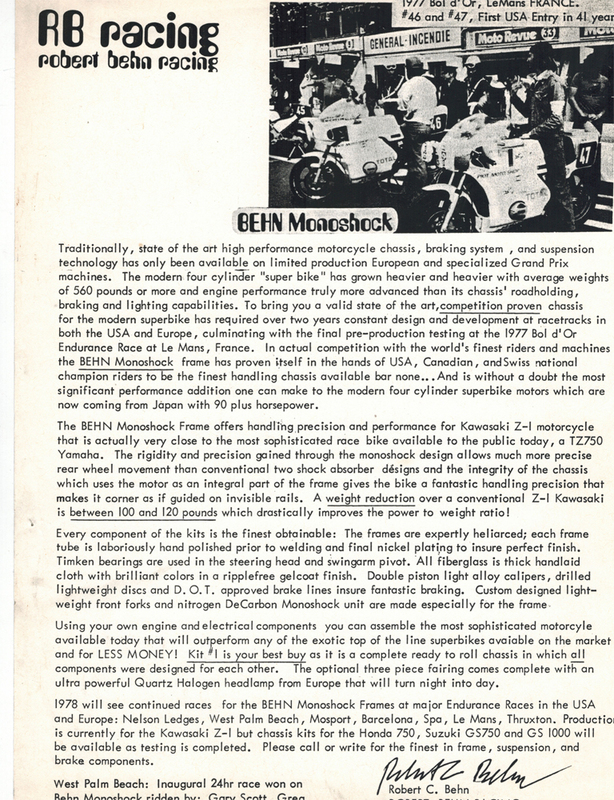 Two Behn Monoshock Chassis with Kawasaki Z-1 motors qualified 20 and 22 out of 62 start positions. 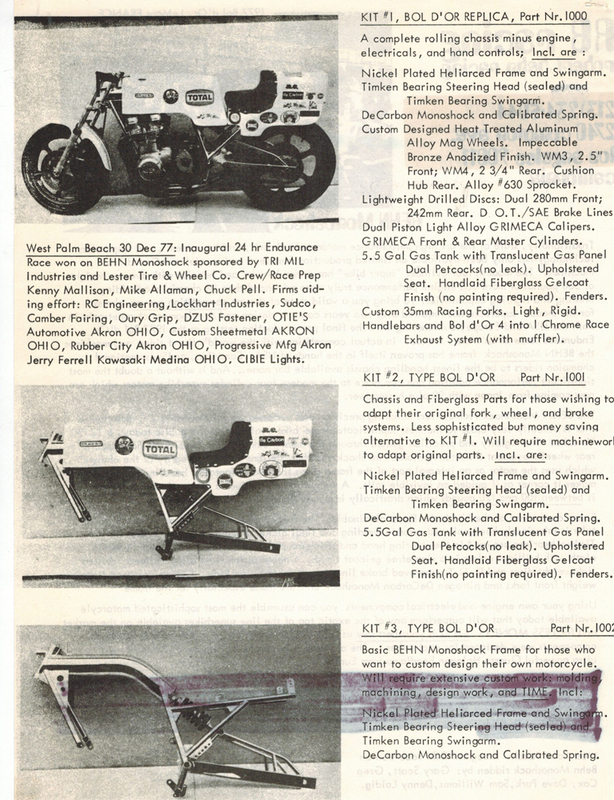 390 lbs and 165mph (as geared) worth of born in the USA racebikes. First motorcycles built the USA to attend this famous race and no one has done it since. Briggs Cunningham, Henry Ford (Dan Gurney / A.J. 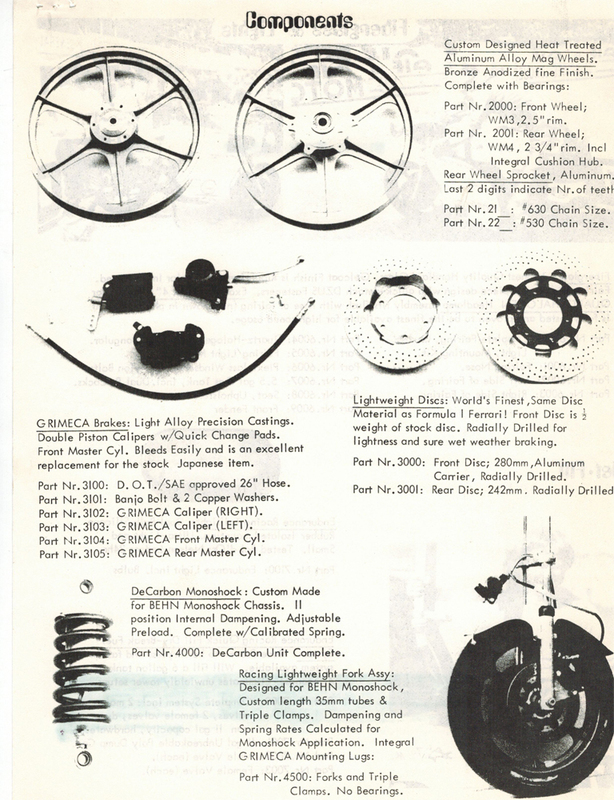 Foyt) and others made it there on four wheels, but America doesn't produce road race bikes. We build space shuttles, SR-71's and the like but we don't build....well, you get the idea. No we didn't win but we gave it our best shot and came back to the US where the bikes did win. If you are a racer you will understand. If you don't understand go cuddle your carbon fiber tank protector. 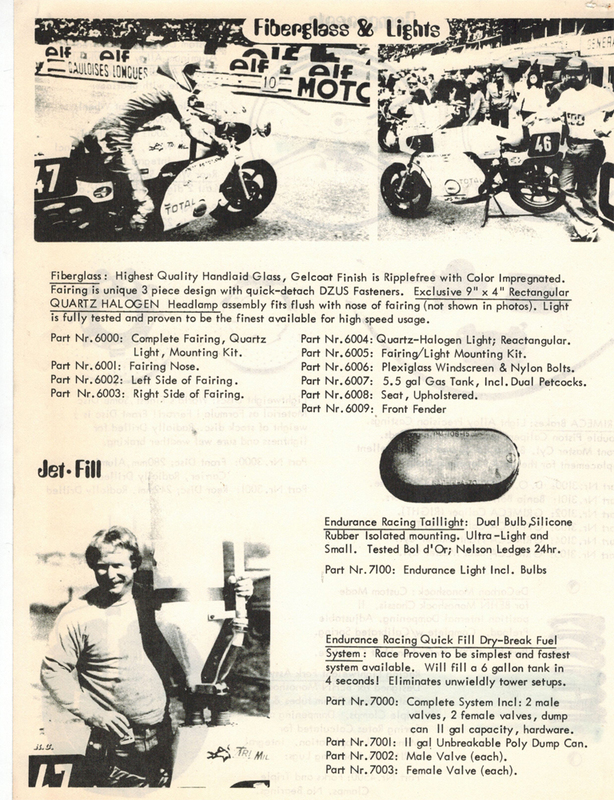 After the Bol D'Or and returning the the United States in January 1978 we began to sell the product we had developed. Before Macs, and before computer typsetting it was typewriters, cameras, developing film, rubyliths and the like. Sort of an interesting way to organize your life around this on prety much constant basis from 1972 to 1978 and a few years afterwards. Not easy. Italian and French suppliers...all personally visited in Europe at the time. Above: The late Sam Williams, beer in hand, holding one of our 3.5 second 6 gallon quick fill cans.